Our Boiler Engineers work around the clock to provide a 24 hour boiler service. We can help you with any emergency or planned boiler work. We can visit your home or business in a boiler emergency or at a time to suit. We are flexible to suit your personal or buisness hour requirements. When we turn up to your property we will have a good idea on how to complete your boiler job. We keep you updated at all times. Your local, fully qualified, gas safe engineer can attend your home or business to save you from boiler problems and install new. We are available 24 hours a day, 7 days a week so we can attend emergencies or planned work. Do you need to change your boiler to a different type or is your current boiler not suitable for your needs? Our gas safe engineers can replace your boiler for you. Your local gas safe engineer can fault find and repair all types of boilers. So whether your boiler is banging, not igniting or error warnings flashing just call. 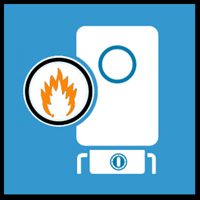 Boiler servicing and gas safety checks ensure your safety and boiler efficiency. Annual servicing is recommended to prevent those unexpected boiler break downs. Sludge build up in your pipes and boiler can cause a break down. You might benefit from a power flush to clean your central heating system with our specialist equipment. 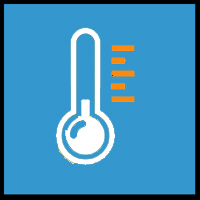 Thermostats control your boiler so you can be efficient with your heating and hot water. We can install, set up and repair your thermostat. So call our plumber now to get yours fitted. Frequently Asked Questions about our Boiler Services? Whether it’s a new boiler to reduce energy bills, improve your safety, reduce break downs or increase efficiency call your expert local engineer now to install your boiler. Choosing which type of boiler can be a confusing choice. 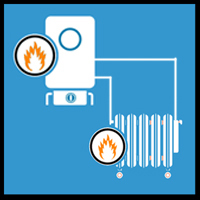 Our boiler fitters will help you choose the right boiler suited to your needs and property. Conventional boilers require both a hot water cylinder and a cold water tank in the attic. Combi boilers are energy efficient and great space savers for most average sized homes with 1- 3 bathrooms because there are no hot water cylinders or cold water tanks. System boilers are more suited to larger homes with more than 3 bathrooms because they require a hot water cylinder. Once you have selected the type of boiler we can offer you a range of boiler brands priced to suit your finances all of which are under manufacturer guarantee for up to 7yrs and arrange a suitable time for our expert to fit for you. Boilers can breakdown leaving you without hot water and/or heating which can be a huge inconvenience that you want sorted immediately. 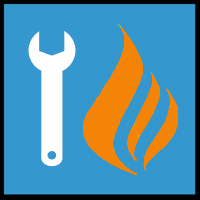 An expert heating engineer can attend your property to fault find and fix your boiler in an emergency or as routine. All our plumbers carry common boiler parts so in most cases we can fix your boiler in one quick visit with the minimum disruption to your day. So follow our 3 easy steps to have your boiler repaired. We recommend an annual boiler service which will ensure your boiler is safe, running efficiently and continues to function without disruption to your hot water or heating. Boiler safety is paramount which is why all our engineers are gas safe registered. Boilers can occasionally cause carbon monoxide and gas leaks which can be unnoticed by you so annual checks on your boiler are essential to prevent and detect potential leaks. To ensure your boiler is working to its maximum efficiency so your energy bills are as low as possible regular care of your boiler is necessary as a clogged boiler or system can mean your boiler working harder to heat your water and home. Annual boiler servicing can minimise the risk of boiler breakdowns as even the most efficient modern boilers can need parts replacing. Call our gas safe engineer to attend your property to perform safety and functionality checks on your boiler, carry out any maintenance if required and then issue you with a Gas Safety Inspection Certificate (CP12). A thermostat is essential to control your home and water temperature. You set the required temperature or time and your boiler will switch on and off to keep your home as you want it. If you have had a new boiler installed and you would like a new thermostat to go with it you can choose from digital or Wi-Fi give us a call to find out more about the choice that would suit you best. Digital thermostats are dialled controlled so you can set it up there and then. Wi-fi thermostats can link to your internet and be controlled from in your home or anywhere in the world as long as you have your tablet/mobile device. We can also install and change your thermostat and move to a different location if you require. Additionally your local, expert engineer can repair your current thermostat if yours is not working as it should. Power flushing can be necessary if your radiator water is dirty, you have blocked pipes or fluctuation in your central heating system temperatures. Power flushing cleans your central heating pipes and system so that your boiler is not over working to heat your water which means that your boiler works more efficiently. In addition power flushing ensures that new boilers and existing boilers aren’t damaged or blocked by existing sludge and debris to minimise boiler breakdowns. Give your local expert plumber a call to find out more or organise a power flush of your heating system.